Research into the geography and history of Africa have a key role in Wilbur’s writing process – read on to discover the facts behind Birds of Prey’s notorious Cape Agulhas. Then he looked northwards to the landmass that crouched like a great rock sphinx, dark and inscrutable, upon the horizon. This was the Agulhas Cape, the southernmost tip of the African continent. 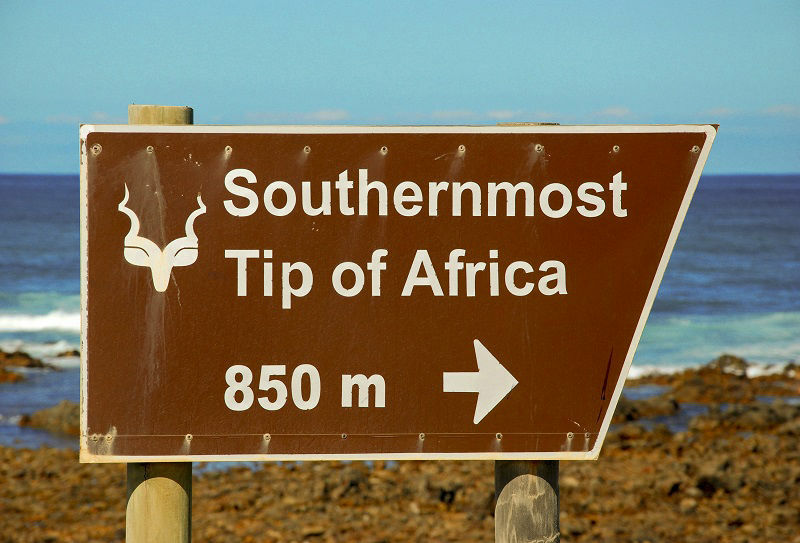 Cape Agulhas, a rocky headland about 100 miles south east of Cape Town, is the southernmost point of the African continent and the point where the Atlantic Ocean meets the Indian Ocean. Two currents also converge here, the Benguela Current, which brings cold water north and east from the deep Atlantic and flows north up the west coast of Africa, and the Agulhas Current, which brings warm water from the Tropics down the east coast. The waters off the cape are relatively shallow as the continental shelf extends south from here for some 155 miles along what is the Agulhas Bank and this, added to strong westerly winds known as the 'roaring forties', can make for stormy waters around the cape with mountainous waves and turbulent swells that are extremely hazardous to shipping. Despite this, ships returning to Europe from the East Indies had to come this way, and they used the Agulhas Current to help them come south down Africa's east coast and round the cape. This current was the highway upon which the Dutchmen must sail to make their westings and. . . this was the gateway through which all must pass who sought to round that wild cape. . . This was why Sir Francis Courtney had chosen this position in which to wait for them. 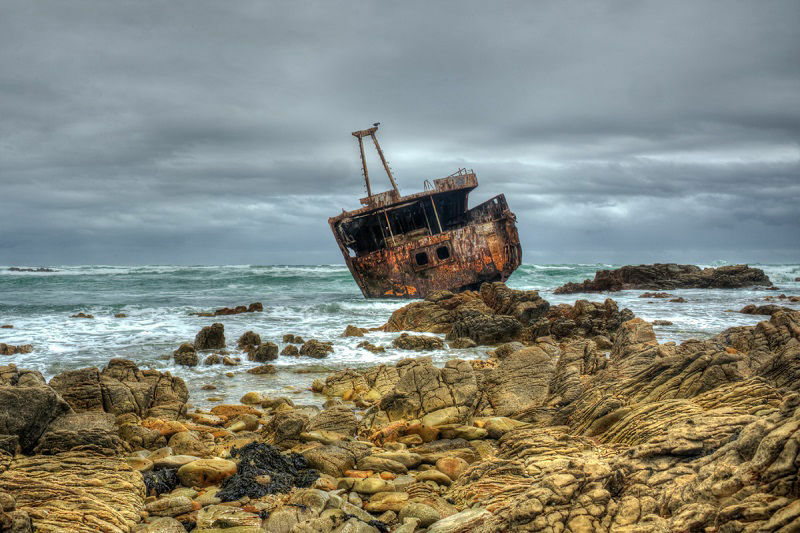 The first Europeans to navigate round Africa, and therefore see Cape Agulhas, were the Portuguese in 1498. They found that their compass needles were unaffected by magnetic interference here and pointed true north, and so they named the place 'Cabo das Agulhas', or Cape of Needles. Today, Cape Agulhas is marked by a lighthouse styled after the Pharos in Alexandria. Built in 1848 it is the second oldest working lighthouse in South Africa after the Green Point lighthouse in Cape Town (1824).